Product categories of Screw Pile, we are specialized manufacturers from China, Screw Pile, Ground Screw Pile suppliers/factory, wholesale high-quality products of Solar Ground Screw Piles R & D and manufacturing, we have the perfect after-sales service and technical support. Look forward to your cooperation! Our screw piles mainly are Ground screw with helixes. You can choose Ground Screw with one helix on the tip or add one helix again on pipe. On the top of pipe, there are three nuts and two holes. This type ground screw can be installed by ground screw driver easily. No digging, no concrete and no waiting. About the tips, we have two types. If customer have own drawing, we can check and test as customer drawing. If no problem, we can quote prices for customer as drawing requirements. 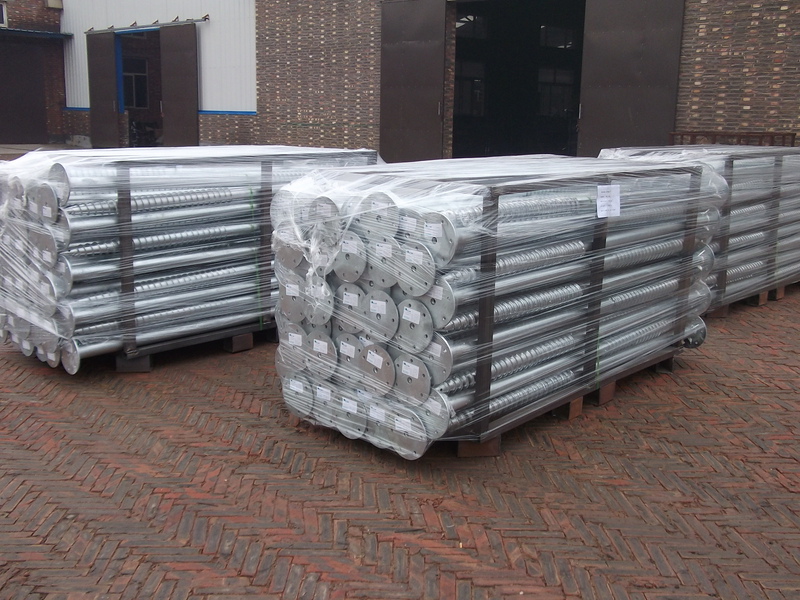 In general, the screw piles package is pallet if customer has no special requirements. The screw piles can be used in foundation system for solar panels mounting structure, fence or other construction.